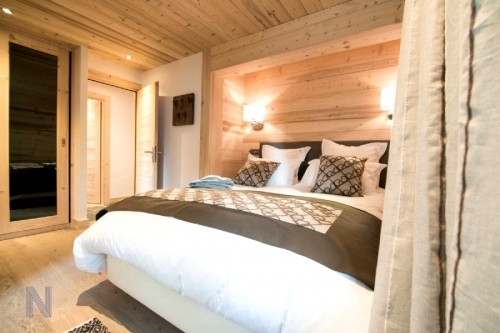 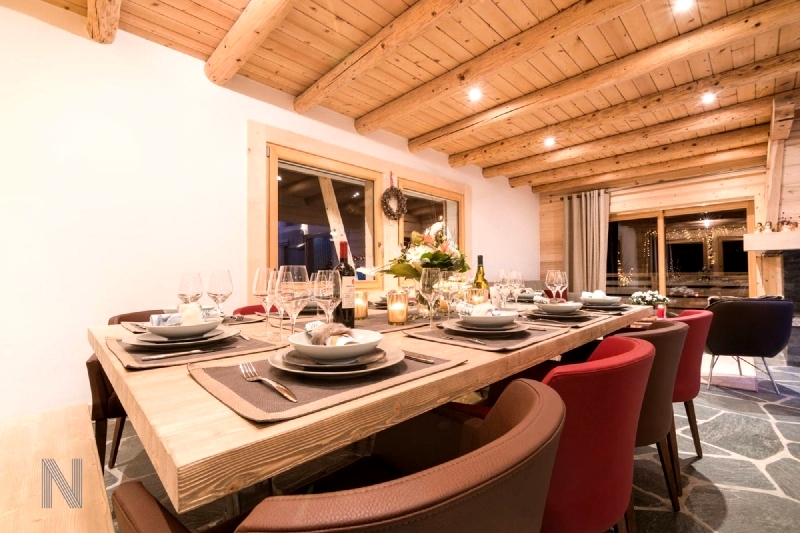 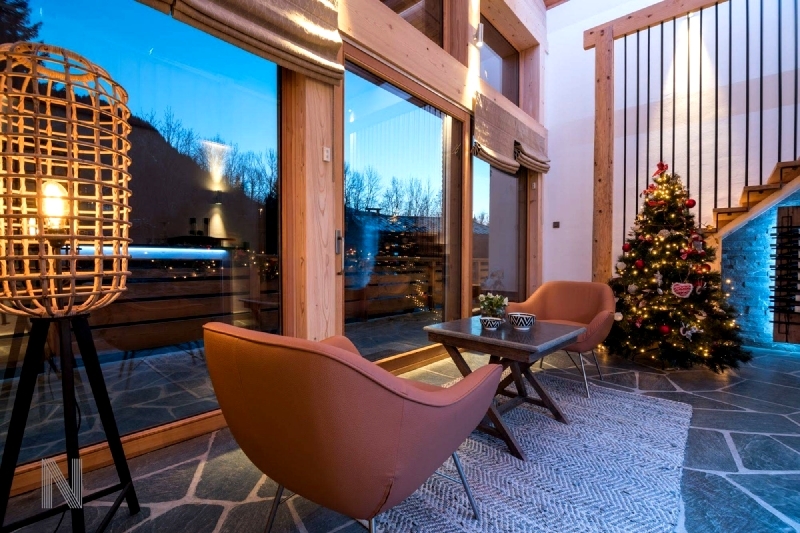 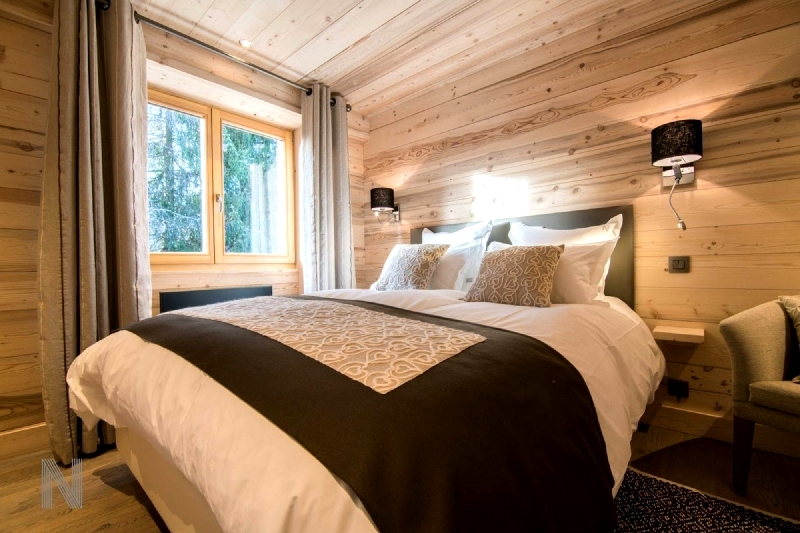 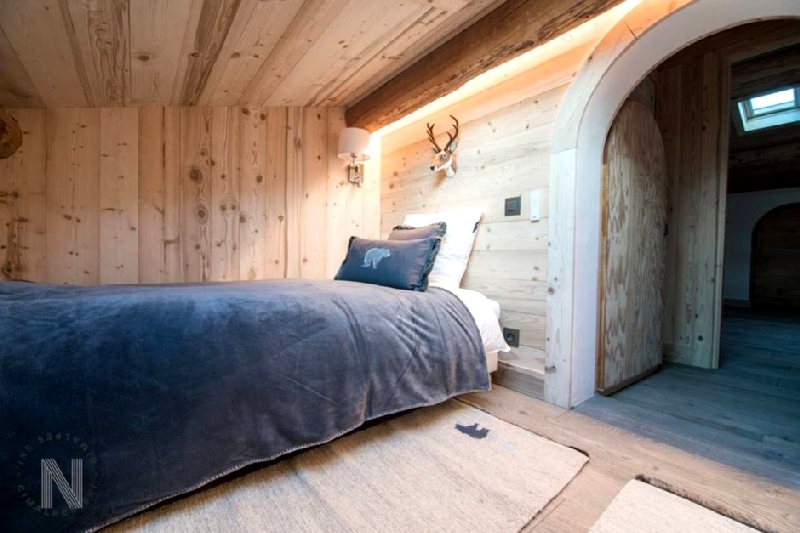 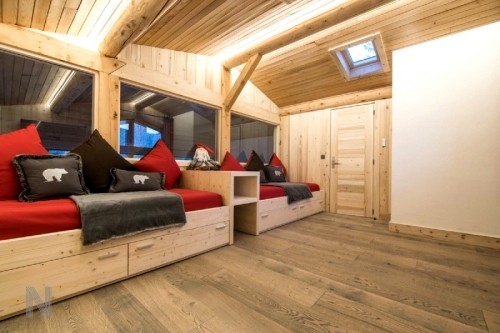 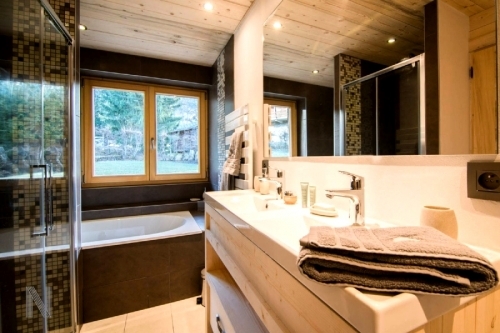 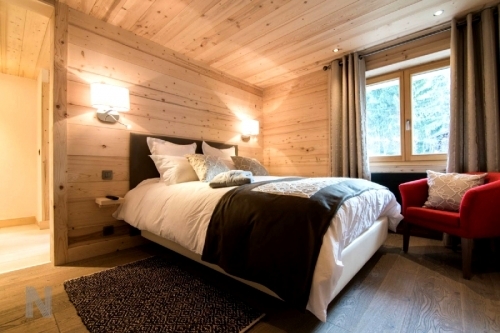 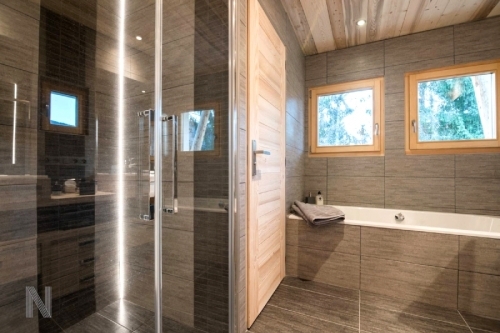 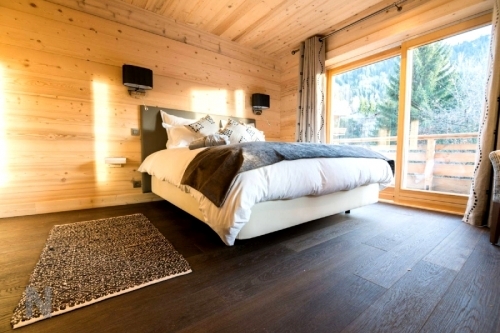 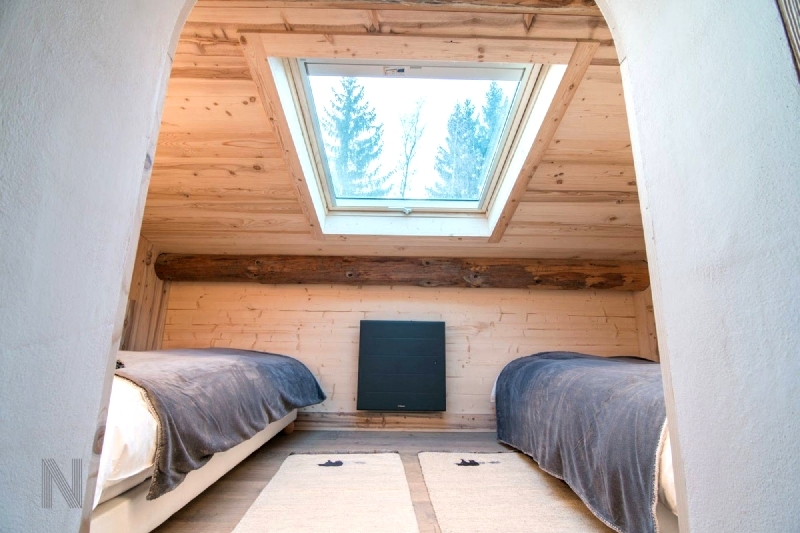 Recently fully renovated chalet for ten people located in the Rochebrune sector of Megeve. 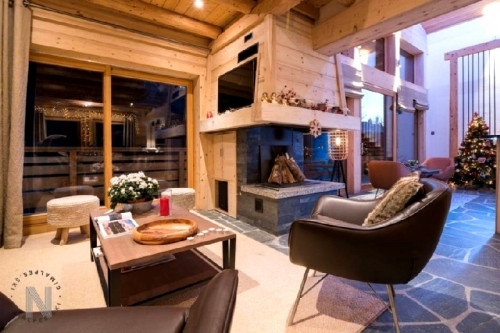 There is a ski shuttle bus stop a few metres from the chalet which enables easy access to the slopes, shops and centre. 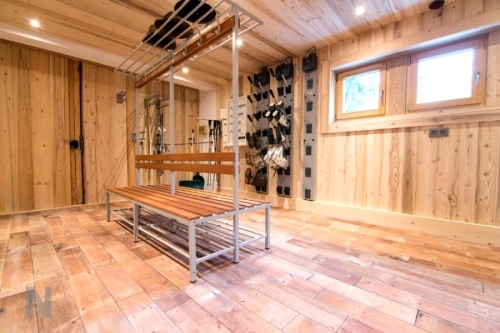 The chalet has a sauna for relaxing after a day on the slopes. 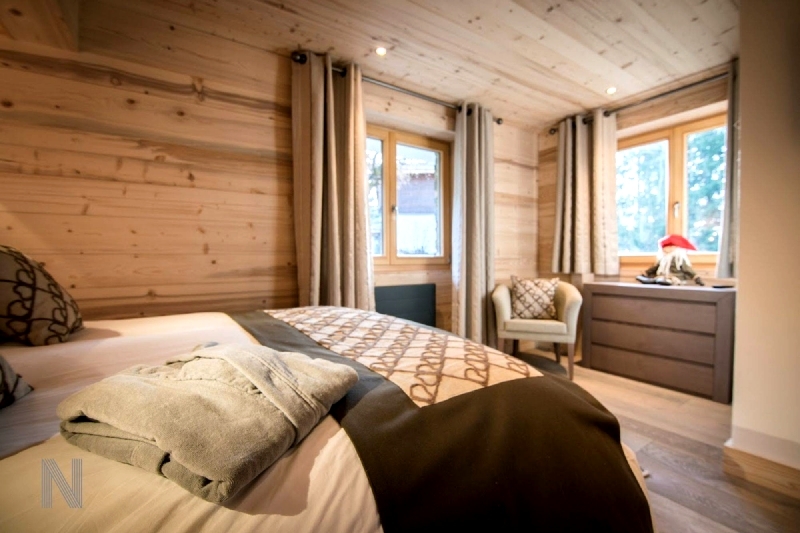 Chalet accommodation covering 230 m² for 10 people (8 adults and 2 children under 12 years old), 5 bedrooms, 5 bath/shower rooms, wifi. The ground floor has a lobby, ski and boot storage room and laundry room. Leisure area with sauna. 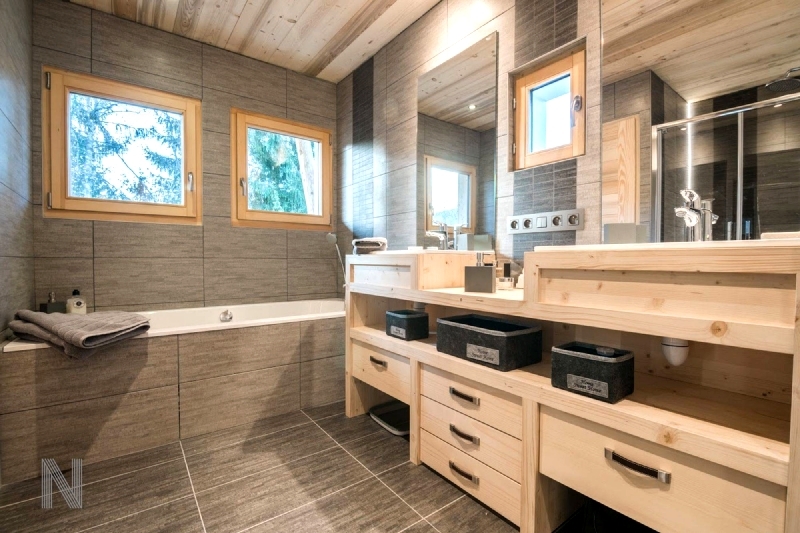 Bathroom with twin sinks and two separate toilets. Double bedroom (160 cm x 190 bed) with television. Another double bedroom (160 cm x 190 bed) with television and en-suite shower room. 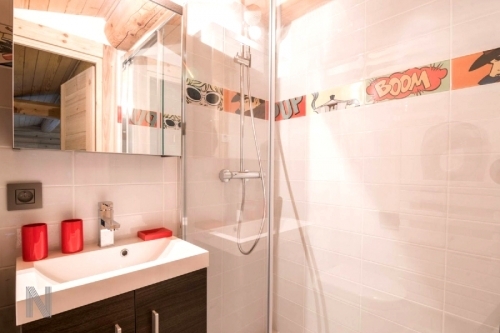 Another double bedroom (160 cm x 190 bed) with television, study area and en-suite shower room. 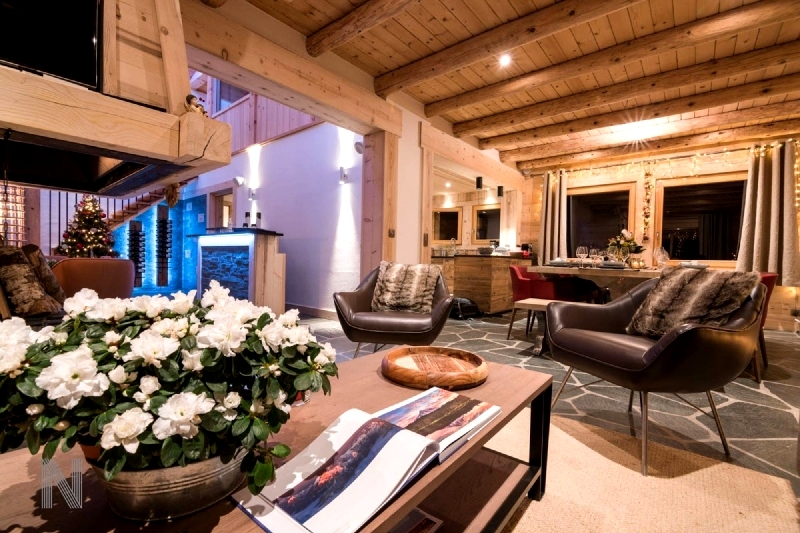 The first floor has an attractive spacious living and dining room with fireplace, bar and television area all opening onto a balcony which faces south-west. There is a fully equipped open plan kitchen (with dishwasher, Nespresso coffee maker, ceramic hob, oven etc.). Master double bedroom (180 cm x 200 bed) with dressing area, safe deposit box and television, balcony and en-suite bathroom with twin sinks, bath, shower and independent toilet. Separate toilet. 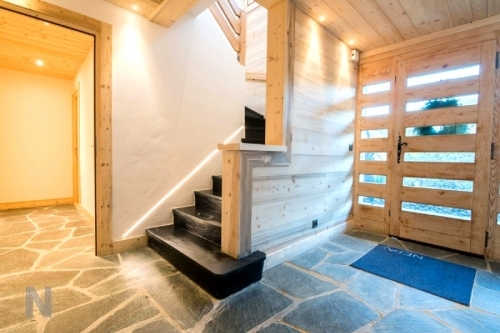 There is a well-stocked refrigerated wine cellar under the stairs. The second floor has a children’s bedroom (with two 90 cm x 80 beds) and a shower room with toilet. In the gallery, there is a sitting area with television, DVD player and games console. The nearest ski slope and the ski school is 850 metres and the nearest ski lift is Rochebrune also 850 metres. 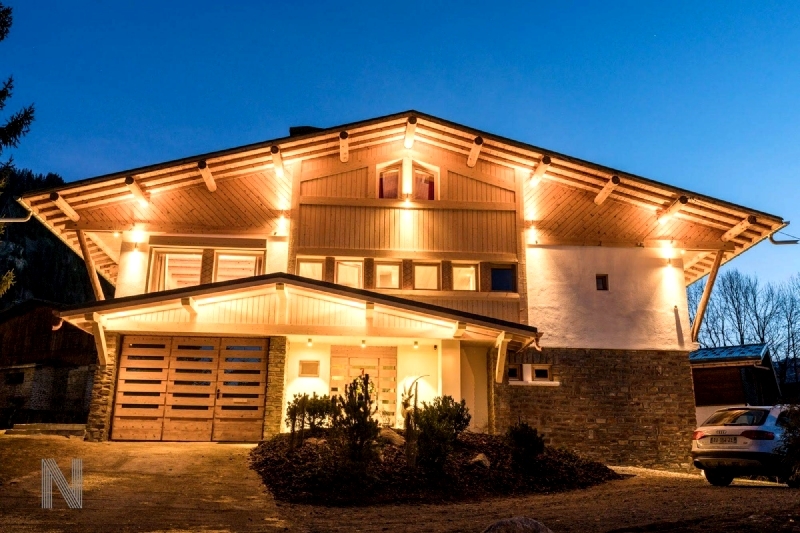 Resort centre 1.3 km. 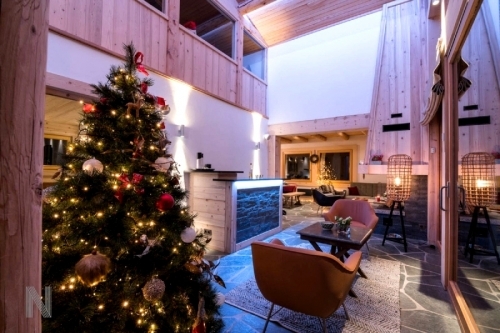 Chambery airport 98 km. 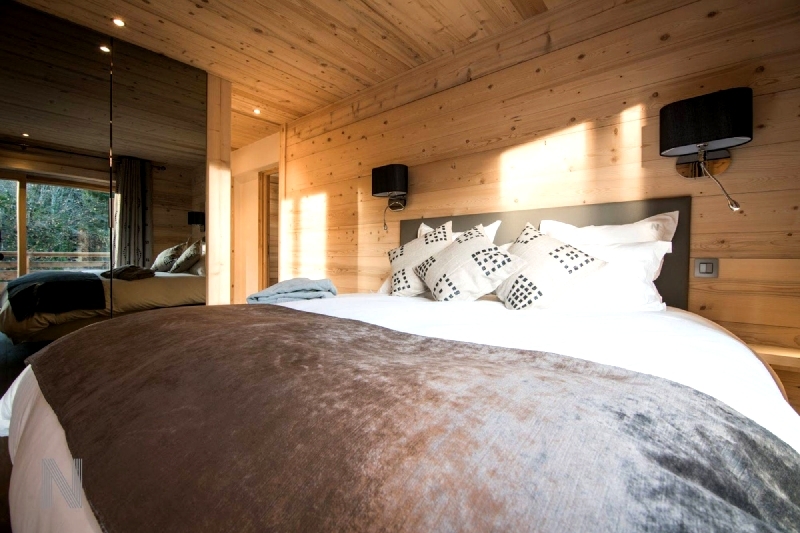 Geneva airport 75 km. Lyon airport 175 km. 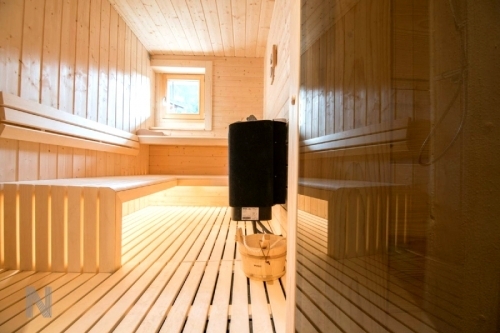 Albertville train station 35 km. Sallanches rail station 14 km. 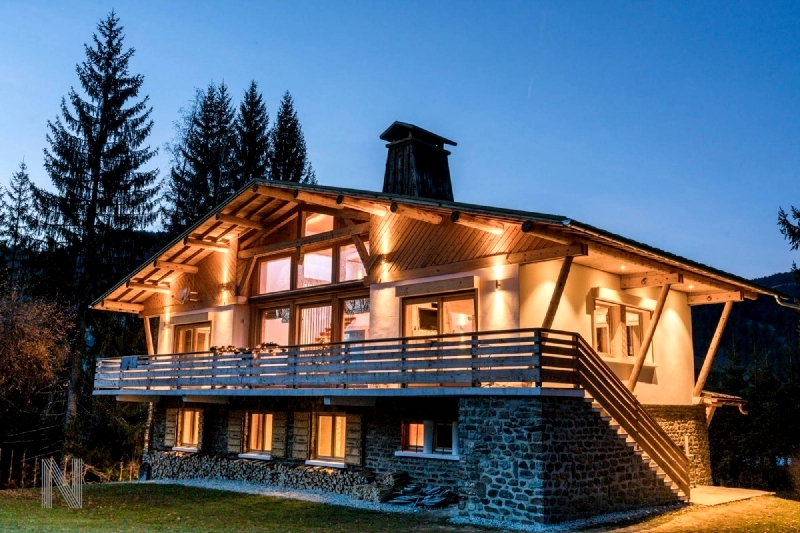 The amount to reserve the chalet is 25% of the rental. 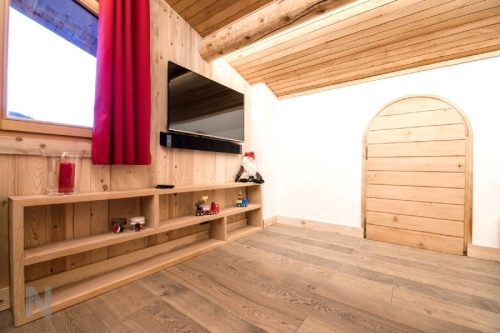 Security deposit 10000 euros credit card slip cashed.